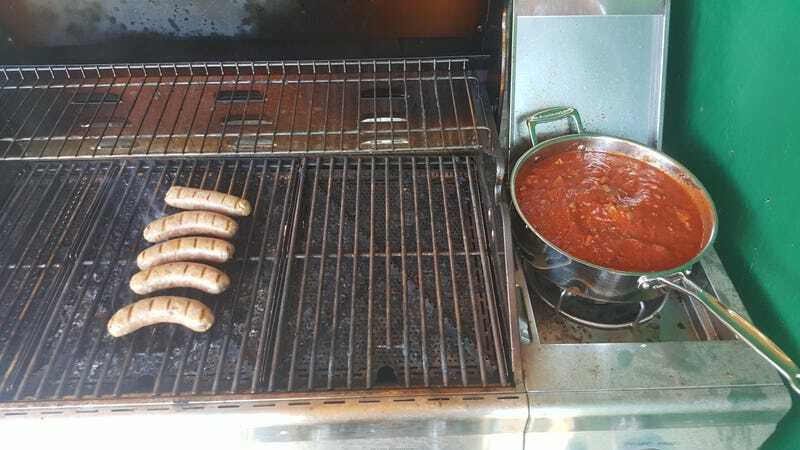 That you BBQ your bolognese, because you don’t want the stove to heat up the house. Update: the sauce has been simmering for hours. It’s dinnertime, but so hot I have no interest in eating. Everyone is grumpy. Made pasta for wife and son, but think I might just have another cold beer. *Sigh* Smells good though. Update 2: The smell got to me. I ate. It was gud.